Shirts With Random Triangles: Lane Kiffin's Alabama bio page gets hacked, calls him a "Coaching Idiot." 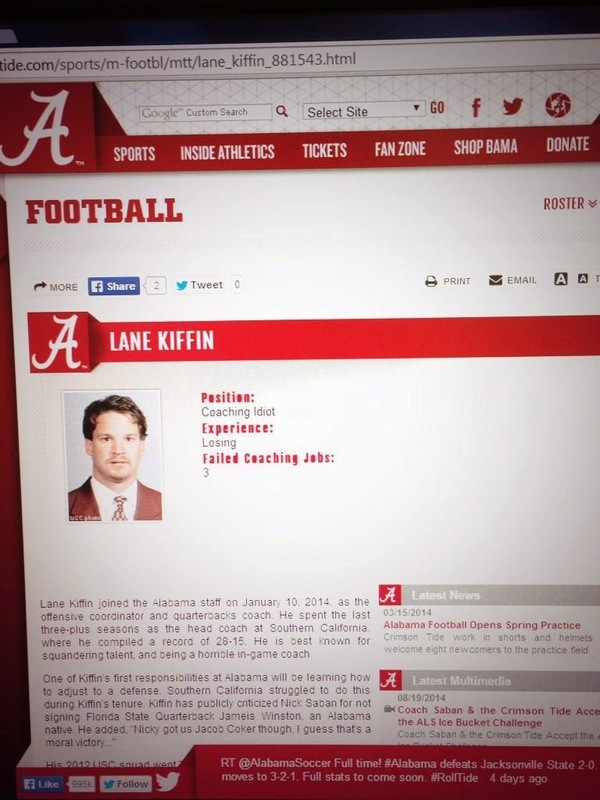 Lane Kiffin's Alabama bio page gets hacked, calls him a "Coaching Idiot." Someone hacked into Alabama football's official website and played around with offensive coordinator's bio. Don't worry about going over to check it out live, it's already been cleaned up. The shocking thing isn't that the hacking into Kiffen's bio happened. It's that it took this long for it to happen.